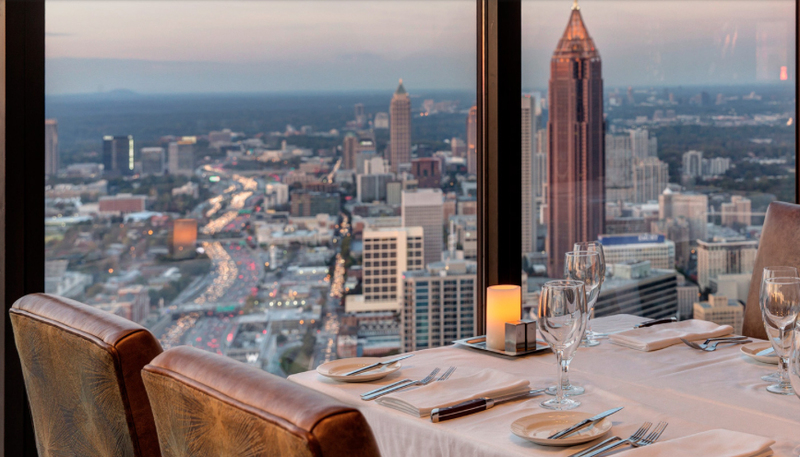 For those who have yet to make those all-important Valentine’s Day reservations, the foodie gurus at Zagat have compiled a list of the most romantic restaurants in Atlanta. They even helpfully did it by neighborhood. The list includes the Sun Dial, the revolving wonder on the top floor of the Westin downtown; Canoe, the classic spot with progressive fare on the banks of the Chattahoochee River, and Maya, the Spanish-influenced steak-house in Sandy Springs. We noticed Cobb didn’t get any love from the well-known book publisher, so we’ll recommend Spring, a rustic-chic Southern restaurant with a farm-to-table menu located on Marietta Station Walk. We know what you're thinking — Bone's? Isn't that an old-school steakhouse with chummy, boys'-club vibe? Well, sure, it can be that — especially if you're in the main dining room. But head in at dinner and ask for a table in the secluded wine "cellar" area — more of a hallway, but nobody wants to say "wine hallway." It's the perfect place to share a classic, perfectly cooked steak, and let the pitch-perfect staff suggest a bottle of wine. A stroll along the banks of the Chattahoochee River's a romantic prelude to a meal — plus the perfect thing for some post-dessert strolling and canoodling. And though the bucolic setting may be better suited to spring, there's no denying the pleasant break from the city setting. Add the refined, seasonal American cuisine, and you've got a can't-miss spot for romance. This Inman Park sushi spot rivals its storied, former Atlanta locations. The space is a luxurious and airy with dramatic lighting. Situated at the core of a now-hip neighborhood, the restaurant draws a crowd that's as good-looking as the space and the food. This sushi spot in Westside makes for a solid date choice: it's got the allure of the new, as well as a dimly lit interior allowing for serious cuddling. (Who needs to read the menu, anyway? Just go with the sushi chef's omakase choice.) The main area can be a little loud, but a side section along the windows is quieter. 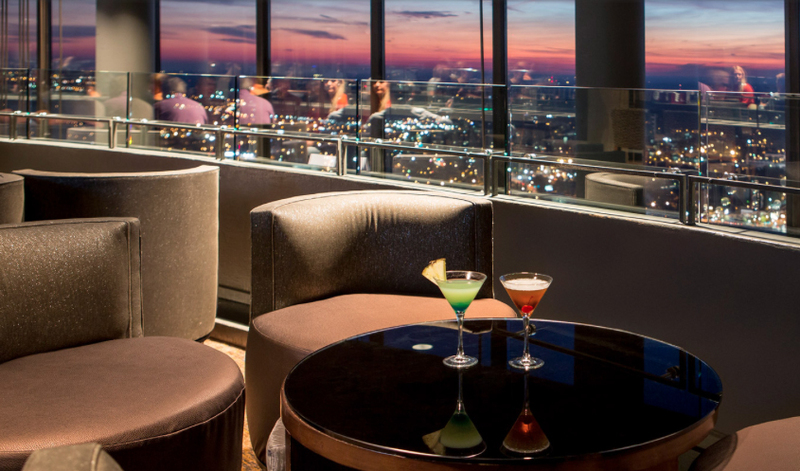 Secret yourselves up to the rooftop — though the bar doesn't officially open until spring — for a romantic view of Midtown. There's something inherently romantic about the best hotel restaurants and bars — maybe it's that at any moment you could decide to cut a meal short and retire to a luxurious room. With Bar Margot, though, there's also the plush decor, opulent bar and unimpeachable cocktails — plus chef Robert Gerstenecker's rich, satisfying fare. Indulgent steaks with a Spanish flair are on order at chef Mimmo Alboumeh's new Sandy Springs den. For some hot action, grab a seat at the bar to watch the meat hit the grill, or nab a table near the back of the restaurant for an intimate meal. Maya's enthusiastic service staff comprises real people-pleasers, making for a memorable experience in hospitality and flavor alike. Okay, okay, okay. Yes, it's true that a romantic dinner is one of the easiest answers, one of the old chestnuts, one that even tourists and suburban dwellers way out in the sticks know. But you know, sometimes something becomes a cliché for a reason, and if you can't find the romance in a rotating restaurant 72 stories up that provides a 360-degree view of the city, well, you're not looking that hard. The gorgeous light fixtures, the live jazz, the multiple levels, the setting sun — all that's left is to gaze out of the windows and tell whomever you're with that it's the second-best view in the city, right after looking right across the table. The full list with links to the reservation line is here.